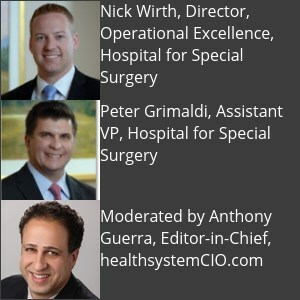 Though developing a clinical communications strategy particularly at large-scale health institutions is no small task, it became a significant achievement for the Hospital For Special Surgery (HSS) in New York City. The world’s largest academic medical center focused on musculoskeletal health fulfilled its vision of efficient and precise pre- and post-operative patient care coordination. The hospital consolidated and synced all inpatient and outpatient clinical communication, including related aspects of provider scheduling, coverage and on-call assignments; made care coordination patient centric and standardized; and phased out pagers for a significant cost savings. This session will describe the physician-led journey, addressing unique challenges such as postoperative patient care’s extraordinary volume of conversations traversing multiple units. Above all, HSS desired to create a higher level of patient safety for postoperative patients from falling victim to pathway deviations. 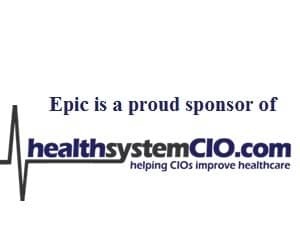 For information on sponsoring this event or other upcoming healthsystemCIO.com opportunities, check out our Webinars, Surveys, and Private Dinners Calendars, or contact Nancy Wilcox.